Season Four of Beyond the Gallery launches today! 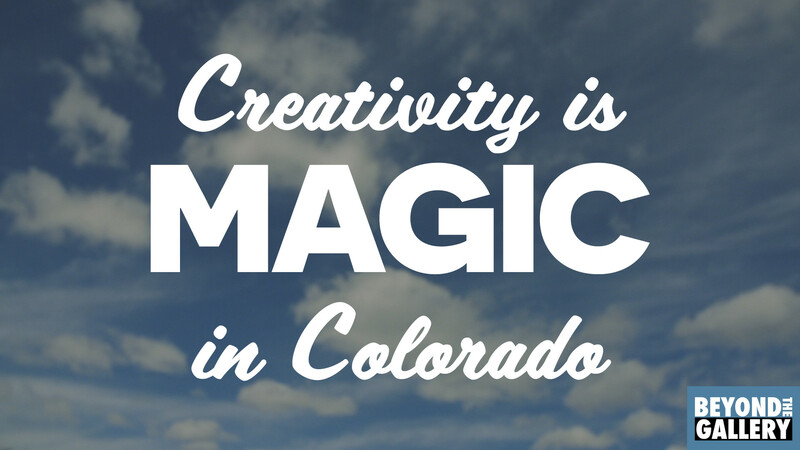 We’ll continue to explore creativity in Colorado with six more artists and creatives. Watch the teaser above and subscribe to join us for an episode each week, plus I’ll send you my free Quick-Start Gear Guide. Beyond the Gallery is a playground for exploring creativity, where we uncover amazing creatives’ stories, and strive to put a little beauty into the world. Each episode we focus on one artist, creative or maker as they share why they create, the challenges and rewards that they’ve experienced through their work, and more. This season we’ll spend time with six more artists and creatives from Colorado’s six newest Certified Creative Districts, including: Crested Butte, Carbondale, Mancos, Breckenridge, Fort Collins, and Denver’s Golden Triangle. Every Wednesday for the next six weeks, you’ll get a new episode of Beyond the Gallery with a Colorado creative and learn how they approach their creative discipline, and why. Season Four of Beyond the Gallery is sponsored by Colorado Creative Industries. A division of the Colorado Office of Economic Development & International Trade, Colorado Creative Industries sees a future where Colorado is a premiere “Creative Economy.” They strive to create a strong brand identity, a Top 10 reputation, and create significant and sustained investment in the creative sector where creative entrepreneurs and enterprises will flourish.